An innovative, low-cost biosensor able to detect sepsis in minutes offers an early detection to help save lives. 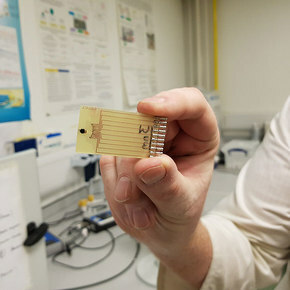 Developed by a team at the University of Strathclyde, the biosensor relies on a microelectrode to detect the protein biomarker interleukin-6 (IL-6) in blood, which is a reliable indicator of sepsis. The test takes only minutes to deliver a result, compared to the 72 hours of current tests, and the device could be implanted in patients to offer continuous monitoring and real-time readings.